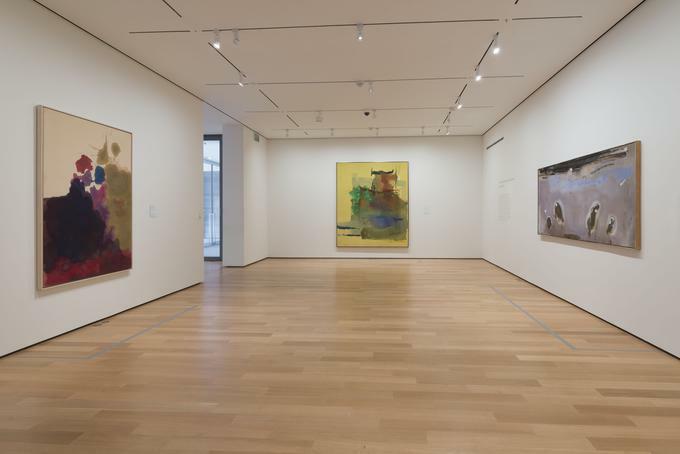 As in Nature: Helen Frankenthaler Paintings, on view exclusively at the Clark Art Institute July 1–October 9, focuses on nature as a long-standing inspiration for the artist. Like many abstract artists, Helen Frankenthaler (1928–2011) continually tested the constraints of the genre, at times inserting into her compositions elements of recognizable subject matter. 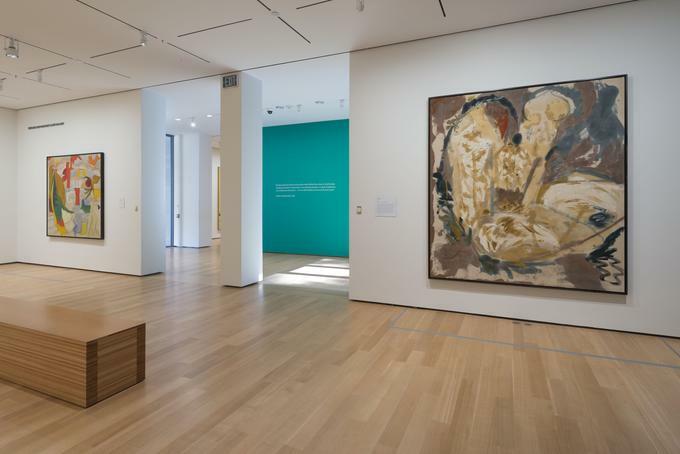 Paintings on loan from the William Louis-Dreyfus Foundation and the Helen Frankenthaler Foundation represent the full range of styles and techniques that she explored over five decades of work. 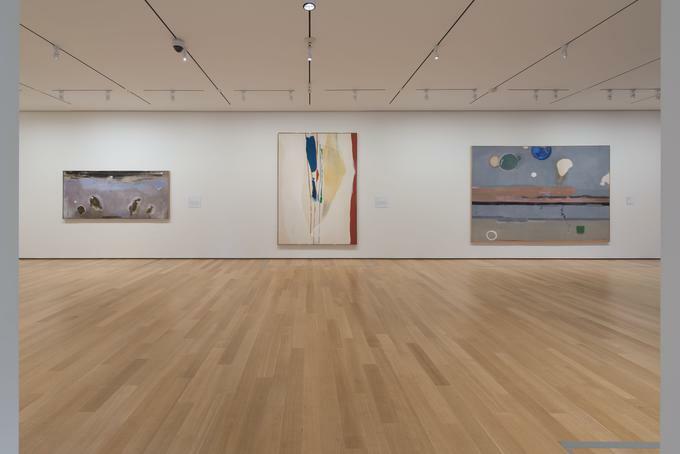 While all are primarily abstract, they also contain allusions to landscape, demonstrating how Frankenthaler’s delicate balance between abstraction and a nuanced response to nature and place developed and shifted over time. Frankenthaler once commented, “Anything that has beauty and provides order (rather than chaos or shock alone), anything resolved in a picture (as in nature) gives pleasure—a sense of rightness, as in being one with nature.” The accompanying catalogue also investigates the critical response to Frankenthaler’s work as that of one of the few women working in the male-dominated Abstract Expressionist art scene. Frankenthaler experimented tirelessly in her painting, always seeking to develop new styles, materials, and techniques. She sometimes alluded to nature directly, through titles such as Milkwood Arcade (1963) that refer to natural themes or even specific places, and sometimes indirectly, through colors, forms, and textures. 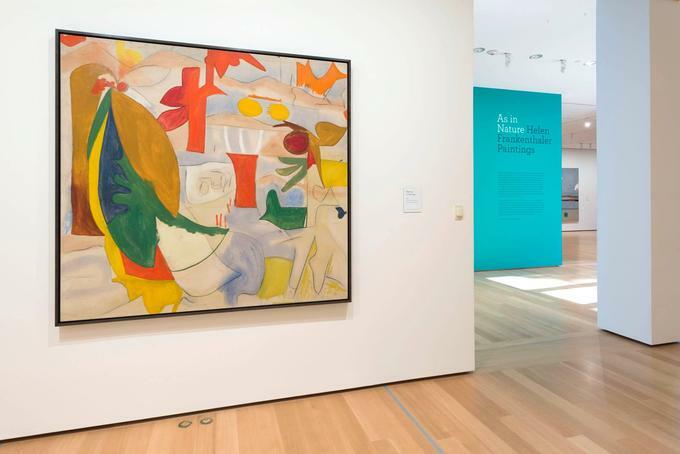 Though trained in abstraction at the Dalton School, Bennington College, and briefly with the painter Hans Hofmann in Provincetown, Massachusetts, she sometimes sketched outdoors, working directly from the landscape. She was an enthusiastic student of the history of art, frequently quoting historical paintings by artists such as Gustave Courbet and J. M. W. Turner, as in Barometer (1992), or traditional artistic genres, especially landscape painting. Helen Frankenthaler maintained a lifelong connection to Bennington College, located just twenty minutes from Williamstown, and established numerous connections to the local region. 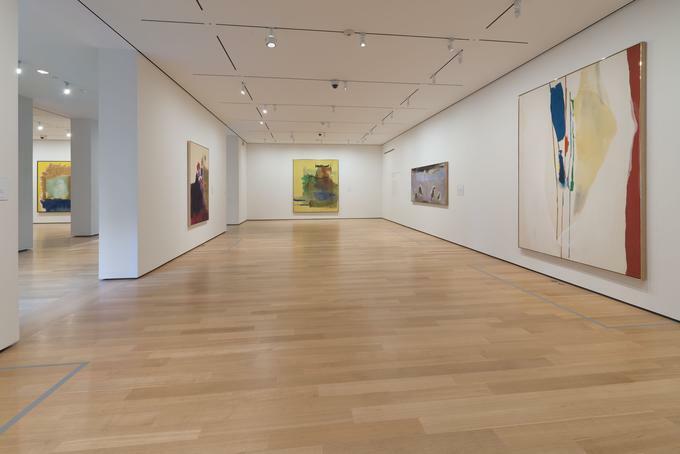 During the 1979–80 academic year, Frankenthaler was part of the Williams College Artist-in-Residence Program. At the culmination of her tenure, the Clark presented and toured a comprehensive exhibition of her prints, curated by Thomas Krens, then director of the Artist-in-Residence Program and incoming director of the Williams College Museum of Art. 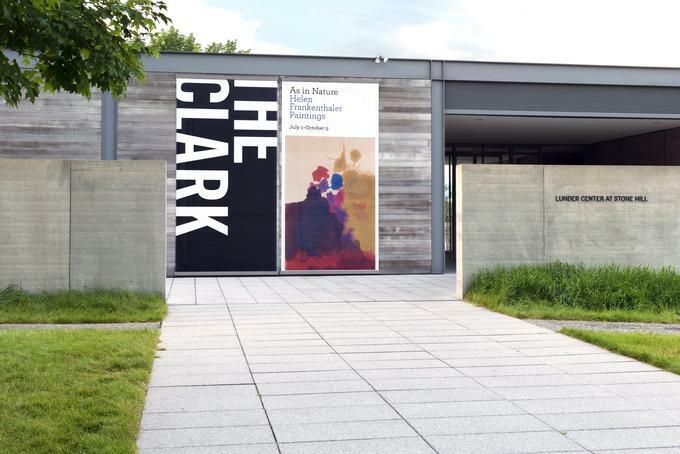 The Clark renews its association with the artist this summer through two exhibitions: in addition to As in Nature, the Institute presents No Rules: Helen Frankenthaler Woodcuts (July 1–September 24), which explores the artist’s inventive and groundbreaking approach to the woodcut over four decades of her career. No Rules is presented in the Eugene V. Thaw Gallery in the Manton Research Center. During the 1950s and ’60s, Frankenthaler explored various styles of abstraction, from Cubist-inspired works such as Abstract Landscape (1951) to more free-form compositions such as Untitled (1962–63). 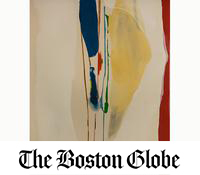 During this period, she developed her influential “soak-stain” technique, in which she poured thinned paint directly onto raw, unprimed canvas laid on the studio floor. This approach allowed her to layer washes of paint on top of one another, creating unusual combinations of colors and forms and blurring the traditional distinction between figure and ground. Giralda (1956) refers to the bell tower of Seville Cathedral, which the artist visited in 1954. The mostly brown and blue palette evokes the landscape of southern Spain, and the exposed raw canvas approximates the hue of the cathedral’s stone walls. 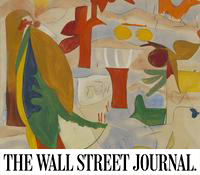 Milkwood Arcade (1963) is another example of Frankenthaler’s experimentation with the soak-stain technique. Set against earthy browns, ochres, and blues, its large passages of green hint at the trees suggested by the work’s title. 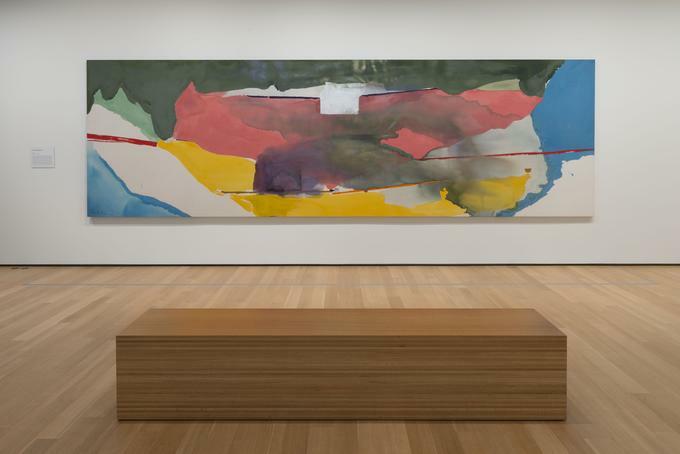 Frankenthaler appears to have been absorbed by the technical aspects of painting in this work—her flowing paint and the forms that emerge from it are precise and subtle—but its poetic title underlines its relationship to landscape. In Frankenthaler’s later work, her interest in landscape persisted. Many of her paintings took the horizontal format of traditional landscape painting, and she often made references to nature through the use of color. Off White Square (1973) is a monumental canvas measuring more than twenty-five feet in length and six feet in height, created in the traditional horizontal format of a landscape painting. The canvas is mostly covered in the artist’s typical thin, horizontal washes of color, but also contains uncharacteristic geometric abstractions such as the off-white square referred to in the title. Some layers comprise deep, shocking pinks and school-bus yellows—colors not usually found in nature—while others consist mostly of greens, blues, and grays—organic tones suggestive of ponds and rivers. 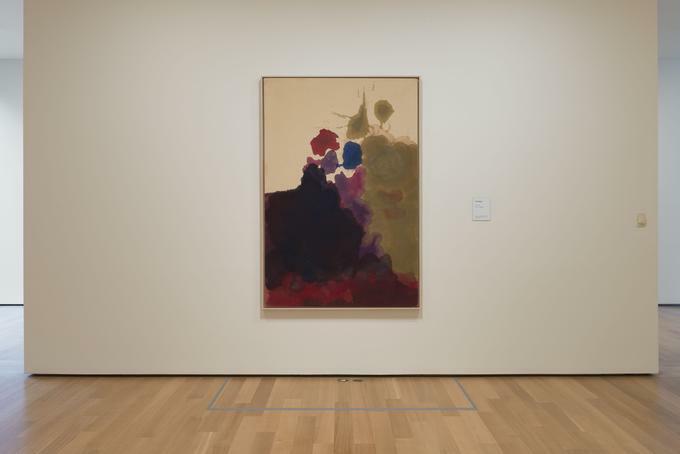 Frankenthaler plays with the tradition of landscape painting by contrasting these artificial and natural hues. Yet for all of her paintings that celebrate nature as a joyous respite, as many point to its unpredictability and even violence. 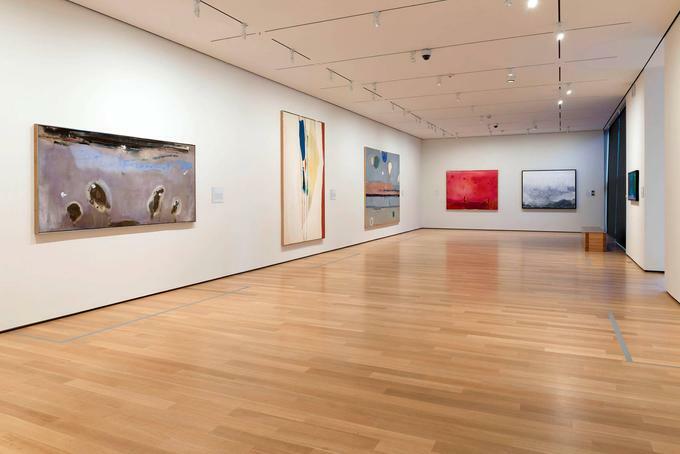 Many of Frankenthaler’s works of the 1980s and ’90s, such as Tethys (1981) and Red Shift (1990), feature unsettling contrasts among colors and forms, evoking the drama inherent in nature. In Greek mythology, Tethys was the Titan offspring of the gods Uranus (Sky) and Gaia (Earth), and the mother (by her brother Oceanus) of the river gods and Oceanids. This painting’s natural brown and blue palette alludes to the earth, sky, and water of the myth. The rounded, crater-like shapes, unusual for Frankenthaler, contribute to a sense of depth, like tunnels through underground layers of soil and stone. Streaks of ore are evoked by the blue-green hues, which resemble oxidized metal. With its dark, somber palette, the painting conveys a sense of foreboding. Frankenthaler looked closely at landscapes by nineteenth-century painters and was influenced by their depictions of nature as sublime and often terrifying, as well as beautiful. Two paintings from 1992 share the horizontal format typical of landscape painting, but vary dramatically in mood. The Birth of the Blues (1992) features cool blues and greens painted in choppy horizontal brushstrokes, their rhythms echoing the music referenced in the title. 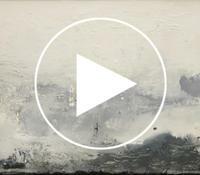 Barometer (1992) is composed entirely of white and gray tones, rendered in swirling strokes of paint. With its black, white, and gray palette and hints of a horizon line, it recalls the seascapes of Gustave Courbet and J. M. W. Turner, both of whose work Frankenthaler greatly admired. A fully illustrated catalogue accompanying the exhibition includes an essay by curator Alexandra Schwartz. The catalogue, published by the Clark and distributed by Yale University Press, also includes the essay “Innate Appreciation: William Louis-Dreyfus and the Works of Helen Frankenthaler” by Christina Kee, assistant curator with the Louis-Dreyfus Family Collection.